Departure from the hotel by busses and drive to Kemer. 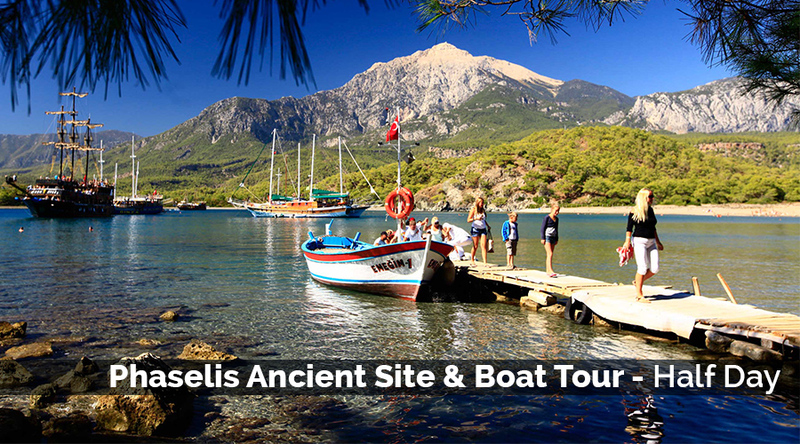 Embark our boat and cruise to the ancient city of Phaselis. This is a beautiful harbor city surrounded by three natural harbors. 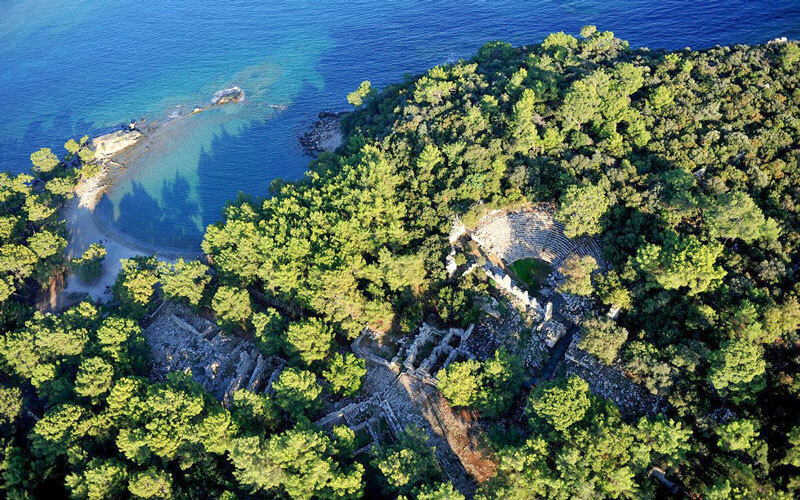 The aqueducts, baths, agora walls and theater are still standing under the shade of the beautiful pine trees. Lunch will be served on the boat. We will then continue to the three Islands for an afternoon swim and tea break before we cruise back to Kemer. We will disembark at Kemer and drive back to hotel.